No man should walk alone through life. 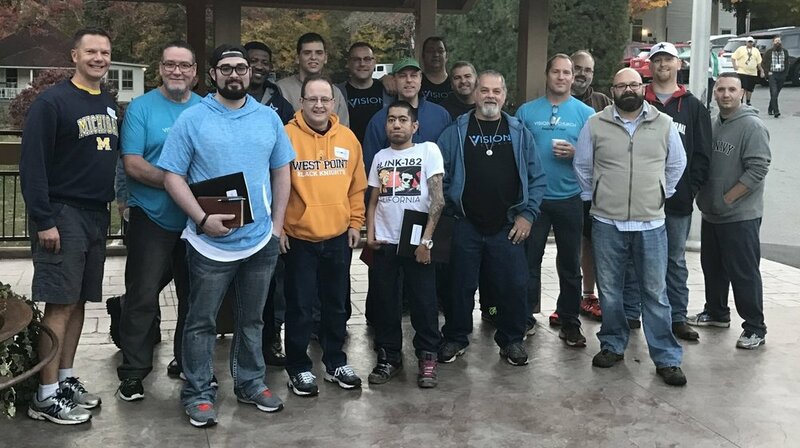 So we have designed men's ministry in a way that any man can get involved, can make some real friends, can find his place to serve, and can have a chance to truly experience more contentment in his life. In life, most men could benefit from more friendships, more encouragement...and more bacon! You can find all of these at our men's breakfast events. We have a variety of men's groups to choose from throughout the year. Each of these are designed to be a place to get to know men in a real way, to talk about the Bible and learn how to relate it to real life, and to have some guys that commit to pray for you. Real men serve. There are plenty of opportunities to serve on Sundays at Vision, behind-the-scenes during the week, or in various roles with one of our local groups we partner with like Gastonia Street Ministry, Terrace Ridge Assisted Living, Southwest Middle School.